His legal team will raise objections and submit arguments on what bars there are to extradition before a full hearing in front of a district judge at Westminster Magistrates' Court, which is likely to take a number of days. - How can he fight extradition? Ms Todner said lawyers could argue "political motivation" in relation to the process, or say Assange's mental health has been harmed after living in confined conditions over the last seven years. She suggested Article 3 of the Human Rights Act - that no one should be subjected to "inhuman or degrading treatment or punishment" - could be used if he faces charges carrying a sentence of life imprisonment without parole, while lawyers are also likely to challenge US prison conditions. Rebecca Niblock, an extradition specialist and partner at law firm Kingsley Napley, said Assange's most obvious argument is that he would not face a fair trial in the US, which would be a breach of his human rights. Other possible arguments could include his "speciality rights" - that he could face further charges once extradited - or whether the alleged offence was committed in the UK, she said. - What are his chances of success? Ms Niblock said: "I think he's got a chance, but I think it's going to be very, very difficult for him and I can't see him being successful. "He has worn down the patience of the judiciary by hiding in the Ecuadorian embassy for seven years. "I feel quite confident that the judiciary will have to be impartial, but if there was any good will, it's been exhausted." Ms Todner said: "It's really difficult to say. I think he's got a strong argument in relation to political motivation, but whether or not a British court will go for that is uncertain. "He didn't seem to receive a very sympathetic hearing yesterday." - Can Assange challenge the judge's decision? Both sides have the right to appeal the judge's decision to the High Court. Assange could then appeal to the Supreme Court and the European Court of Human Rights. - Who has successfully fought extradition in the past? Judges said the extradition of Mr Love, who has Asperger's "would be oppressive by reason of his physical and mental condition". His case bore similarities to that of Gary McKinnon, another alleged cyber-hacker with Asperger's, who eventually had his extradition blocked by then Home Secretary Theresa May in 2012 following a decade-long legal battle. - Can the UK government block Assange's extradition? "Following the case of Gary McKinnon, Theresa May severely limited the powers of the Secretary of State to prevent extradition," she said. "Also, though the Secretary of State does have very limited powers to interfere, I don't see that discretion being used." 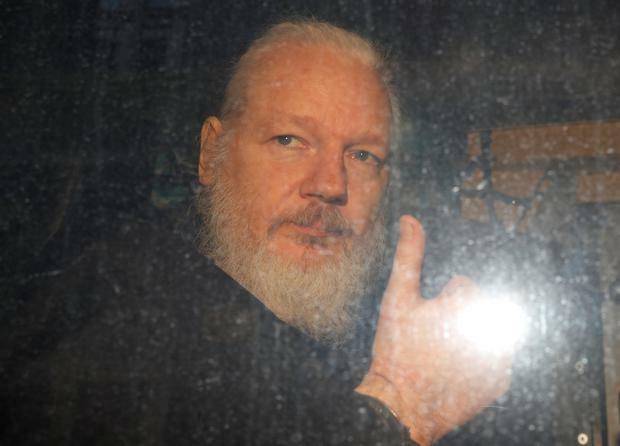 The British Home Secretary can block extradition to countries where the death penalty may be used, but Ms Todner said the US would likely make assurances that capital punishment would not be on the table in Assange's case. Ms Niblock agreed that it was unlikely ministers could do anything to stop Assange's extradition following the change in the law. "It's very difficult for the Government to interfere in the extradition process now," she added. "But it could possibly be longer. It's possible to draw things out if you need to," she said.